This installment of Celebrating Geauga Small Businesses comes from Cibik’s Dairy Island. Geauga County Public Library: When was Cibik’s Dairy Island founded? Cibik’s: Rich and Elaine Cibik purchased the Chagrin Dairy Bar in 1976. The Cibik’s re-named the business Dairy Island and operated for 15 years. Major challenges included: recruiting quality staff, growing revenues and managing costs, working long hours through the summer months, and learning to wear the many hats required in operating a small business. Also, being a seasonal business brought other challenges: earning enough money in the summer to make it through the winter months, winter employment, retaining staff members, and others. In 1991, their sons Rick and Jim purchased Dairy Island. In 1992 Jake’s Drive-In was added, offering car hop service to guests. In 1995 Jim bought out Rick. He owned and operated the business for the next 21 years. In 2017 Rick Cibik returned to lead the family’s iconic ice cream and burger establishment. The challenges are the same as they were 43 years ago. Running a small business requires the owner to be well-versed in a number of disciplines including customer service, public relations, and quality control, among others. The biggest challenge is training and developing employees. Rick’s favorite part of owning Cibik’s Dairy Island is making people happy, especially kids. GCPL: Why did you decide to start your business? What inspired it? Cibik’s: Rich Cibik wanted to work for himself. Having your own business is very rewarding. GCPL: What kinds of training and education did starting your business require (College, trade shows, seminars/conferences, etc.)? Have you ever used the library to help with this? Cibik’s: No special education or training is needed to operate our business. Although a keen business acumen, ability to work long hours in the summer, and dedication and drive are valuable. Before the internet, I was at the library all the time. GCPL: What resources did/do you find most useful in helping you to start, grow, and maintain your business (Books, software, training materials, databases, etc.)? Cibik’s: Joining local organizations like the Chagrin Valley Chamber of Commerce and Geauga Growth Partnership. Surrounding myself with people that are smarter than I am. Cibik’s: Commit no matter what. Follow Cibik’s Dairy Island on Facebook, Instagram, Snapchat, and Twitter. 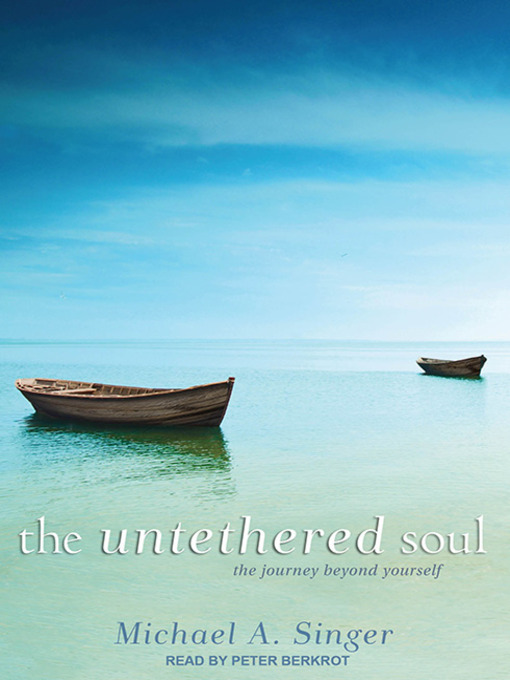 Rick Cibik is currently reading The Untethered Soul by Michael Singer.